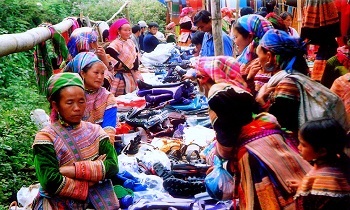 Sapa has long been known to domestic and foreign tourists for their unique tourism potential. 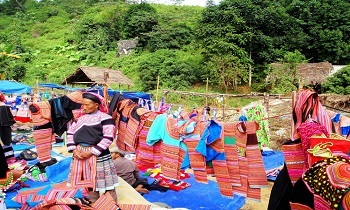 Tourists can participate in many types of tourism at the same time such as scenic tourism, ecotourism, cultural tourism, leisure tourism, and mountain climbing with the system of rich cultural history, rich traditional cultural background of ethnic minority people, majestic natural landscape, unique hotel, and homestay system. Although Lao Cai is more than 350 km from Hanoi with the convenient transportation system, the road to Lao Cai for tourists who want to explore seems to have been shortened. From Lao Cai, tourists can make countless tours for sightseeing to suit their tastes as well as enjoy the cool, fresh space of a Sapa town. 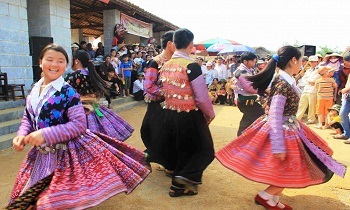 Besides, the tourists can participate in traditional markets of ethnic minorities and watch horse racing in Bac Ha or even"export" to China through the border of Ha Khau to learn the life of border residents. 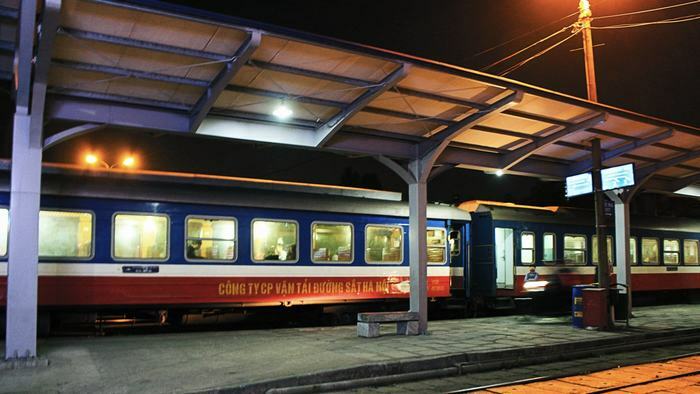 Every day, trains are departing from Hanoi - Lao Cai and vice versa, tourists will spend about 8 hours on the train. On weekends and holidays or in the summer, visitors should plan to book tickets early (at least one week) at the station or through travel agents or train ticket agents. The popular type of ticket is soft air conditioning. To ensure the health of the program travel as well as family travel with children, visitors should book tickets for soft seats. If you book tours of travel companies, there will be guides to welcome the delegation at Lao Cai station, take visitors to visit the points under the program. 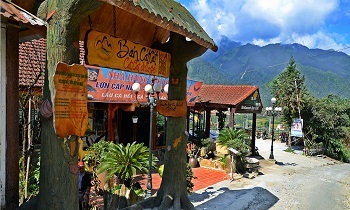 In the case of traveling self-sufficient, tourists can take the bus from Lao Cai station to Sapa town center. Visitors will experience the majestic scenery, gorgeous on the pass road more than 35km long in about 1 hour. In general, tourism companies do not organize travel by car to Sapa to ensure the safety and health of visitors, so the car is only for tourists who prefer risky, want to save travel expenses. You can catch high-quality passenger bus at My Dinh, Giap Bat, Luong Yen bus stations with the Hanoi - Lao Cai - Sapa bus lines such as Hung Thanh, Hai Van, and Vietbus. When there is a need and plan to travel, visitors should call directly to the garage to get the most accurate information. Guests will stay overnight in the car, on the way, there will be rest stations for visitors, so even though staying in the car for more than 8 hours, visitors are still healthy to participate in the tour program. 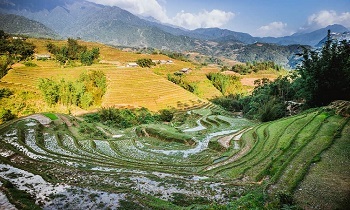 Note: Lao Cai terrain features high mountainous areas, so when traveling, visitors will have to go through many winding roads, so visitors who are carsick should prepare well. You have to make sure you eat well before the trip to get plenty of energy. 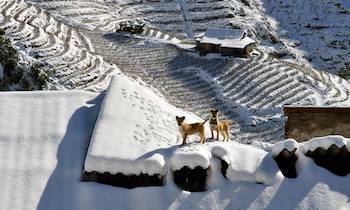 Being blessed with the weather and climate, Sapa attracts visitors every season, because each season creates Sapa's own beauty. 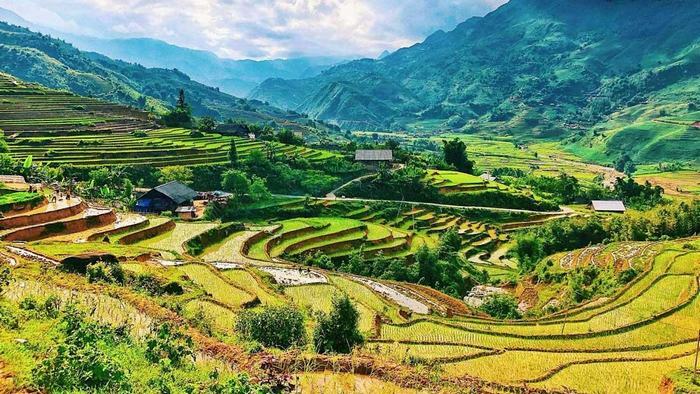 The best time to visit Sapa is from September to November or from March to May, this is when the weather is favorable, the scenery is also more beautiful. In the summer months, visitors can avoid heat in the cities with a trip to Sapa at the weekend. 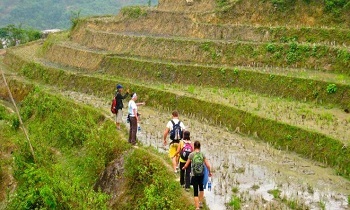 On the autumn days, visitors will admire the ripe rice terraces. On the cold winter days, tourists are "enjoying" the cold of the mountain dew, and if lucky, visitors also have the opportunity to see the snow. 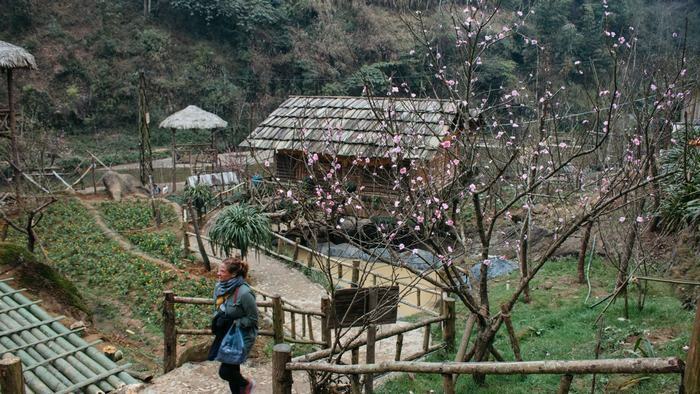 The spring in Sapa is the season of white flowers; apricot blossom peach blossomed everywhere. The natural scenery of Sapa at this time is brilliant; visitors can save memorable photos in the flower garden who is blooming. 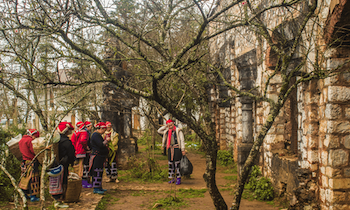 Sapa is located at the altitude over 1500m above sea level, so the weather will constantly change, cool in the day, cold at night, so visitors should prepare their reasonable clothes: winter clothes, winter shoes, sports shoes for climbing, wading streams, umbrellas or raincoats. The amount of clothing is enough for 3 to 5 days. Anti-mosquito and insect repellent creams, first-aid drugs: abdominal pain medicine, medicinal oil, and cotton gauze. For tourists who have booked through travel companies, travel is quite convenient, the car of travel companies will take visitors to visit all the famous sites of Sapa. For backpacking tourists, they can rent motorcycles. Tourists have to buy gasoline. One day is from 6 a.m to 6 p.m on the same day. The road system in Sapa is quite convenient, and the attractions are not too far apart. Visitors should have a specific schedule for each route so as not to miss the sights as well as limit the time wasted when traveling between distant points or in unfavorable roads. When taking traffic, visitors should pay attention to the means on the road, wear helmets, take the right speed and lane to avoid the unfortunate crash. Thac Bac - Thac Tinh Yeu - Heaven Gate. Ban Mat village - Ta Phin village. Sapa town route: Cat Cat village - Ham Rong Mountain - Sapa Cultural Museum - Daughter Church. 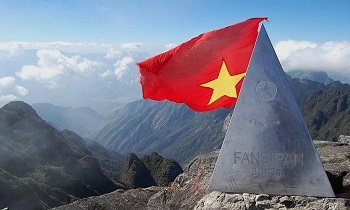 Fansipan peak Fansipan: visitors should contact the travel companies prestigious travel guide to ensure safety. Currently, Sapa tourism is very developed, so the hotel system from high-end to affordable, as well as the guest house is very available. But for a full trip, travelers should contact the hotel for pricing and booking in advance, if they arrive to find new hotel guests, will be very tired and may not receive hotel rooms, and reasonable accommodation. 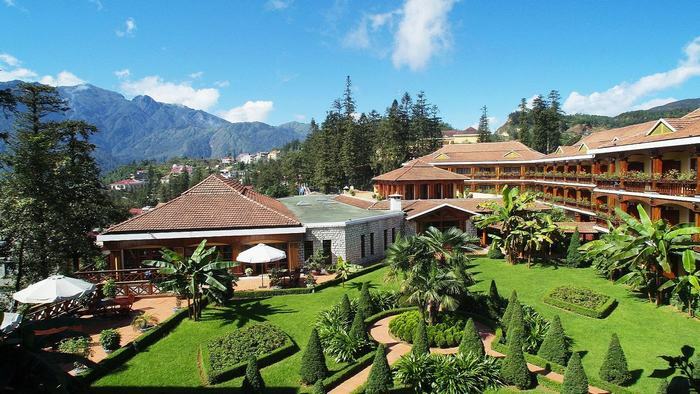 4-star luxury hotels: Victoria Sapa Resort & Spa, Chau Long II; The Sapa Trade Union, Royal View Sapa .... and many other low-quality hotels and inns, and the price is also more comfortable with the minimum equipment. Up to Sapa, visitors have many choices of restaurants and food. Guests can order at the clean and spacious restaurants, such as Discover Sapa, Hoang Ha, Cha Pa, Anh Dung, Silver Stream and many more restaurants, suitable for all tastes of visitors. Vegetables, salted bacon, ax meat, ginger meat, Sapa spring fish, and salmon ... are indispensable dishes when tourists come to Sapa. Also, visitors can go to the market, the area around the stone church to enjoy the sour dishes with Sapa flavor: grilled dishes such as the grilled stomach, grilled chicken, grilled chicken, and chestnuts which are very attractive and strange. There are many cafes with beautiful view, concentrated in the area of Cau May Street or perhaps the sidewalk; visitors can feel the breath of Sapa at night. To the tourist attractions, visitors do not forget to shop for souvenirs to save memories. 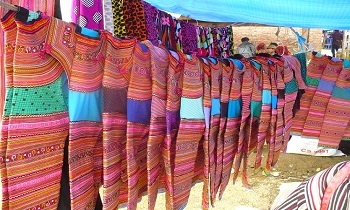 Souvenirs in Sapa are rich and diverse, so tourists can buy clothes, colorful brocade cloth, medicines, medicine for elderly people in the family, the lotus seeds, triads, soya beans, Lingzhi mushrooms, forest honey as well as many types of fruits: bamboo shoots, Vietnamese apple, pear, peach, plum in Bac Ha. Note: Guests should bring a small amount of money to go shopping quickly. That is all you need to prepare for a Sapa trip. We hope that after reading this post, your upcoming trip in Sapa will be more convenient. You can find out more about this beautiful land via our website. Share this article with others if you find it helpful. Have many interesting memories!